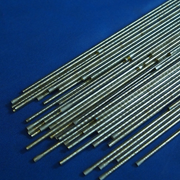 Cobalt #21 bare rod provide a low austenitic type deposit with excellent work hardenable, high temperature, strength, and impact resistance. It is a good choice for valve trim and steam and fluid control valve bodies and seals. It bonds well to all weldable steels, including stainless steel.